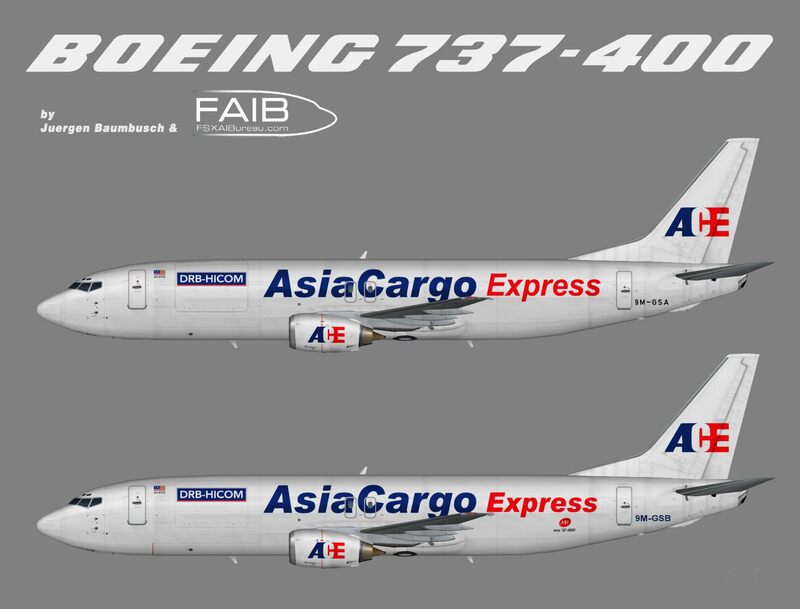 Repaint of Erez Werber Boeing 737-400F Asia Cargo Express (Gading Sari) color scheme. Base files package for FSX/FS9 available seperately at FAIB Website. For more details please visit http://fsxaibureau.com. This is an AI aircraft only. Great paints, found the corresponding plans. Just a quick couple of points regarding the aircraft configs. The texture folders are misnamed and one aircraft should be listed as the logolight model as noted in your package. Great stuff, thanks for your excellent work!